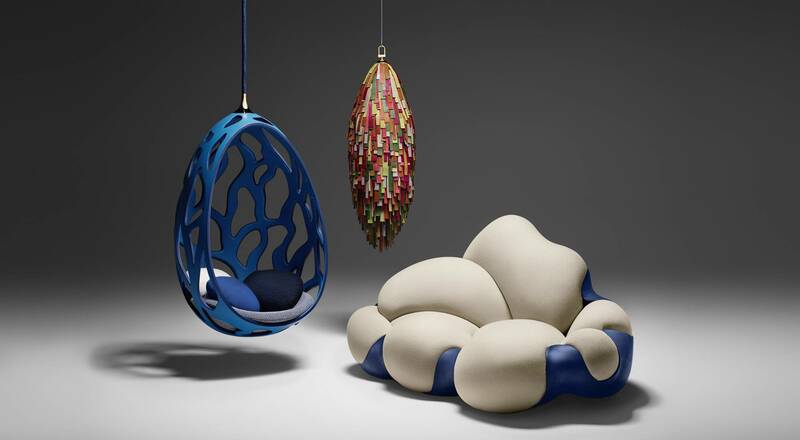 Milan, Italy showcases the latest in furniture and design at the Milan International Furniture Fair, from April 4-9. Three LVMH Houses – Fendi, Louis Vuitton and Loewe – are taking part in the event, proposing a sophisticated and intimate art de vivre with collections that blend design, fashion and craft. Fendi Casa presents an elegant and refined collection at the Salone Internazionale del Mobile 2017, featuring an exclusive version of the Palmer sofa by French industrial designer Toan Nguyen dubbed Six Shades of Palmer. 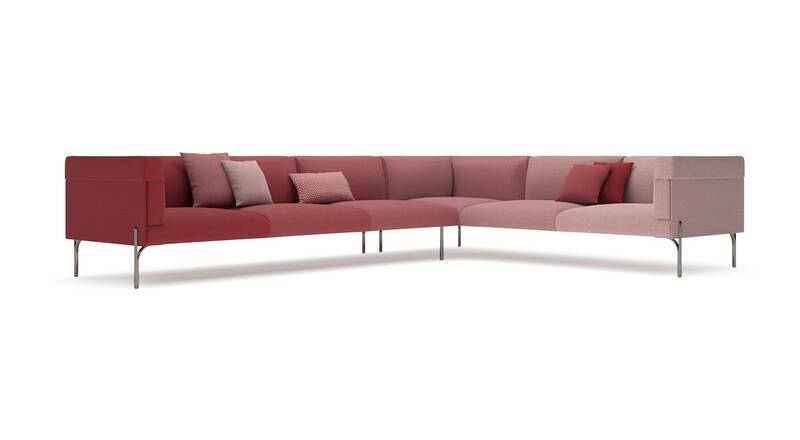 With a dégradé of six hues ranging from intense passion red to a delicate powder pink, his design enhances the graphic lines of the sofa, which has a modular structure to play on the contrasts. Other items in the collection feature trompe-l’œil motifs on wallpaper, plays on volume with the sinuous lines of the new Stiletto chair, and the elegant Ford table. Tones oscillate between neutral nuances like ivory, chalk and ecru to shades of green, pastel pink and cherry. A harmonious balance between design and fashion, the Fendi Casa collection celebrates elegant lines and high-quality materials. Created in 2012, the Louis Vuitton Objets Nomades collection carries on the Maison’s long tradition of crafting exceptional travel objects. The collection is enriched with ten new items this year, the fruit of collaborations between designers and Louis Vuitton that embody shared ideals. Inspired by Brazilian bombocas candies, the playful sofa by the Campana brothers is designed like a puzzle with eight removable cushions. The talisman-inspired nomadic side table by India Mahdavi features remarkable leather marquetry, while the leather straps on the stunning chair by Atelier Oï resemble Louis Vuitton belts. For its third contribution to the Milan International Furniture Fair, Loewe presents its Loewe: This is Home collection. A category-spanning universe that combines art forms and expert craft techniques, the line encompasses furniture, lamps, blankets, ceramics and cushions. 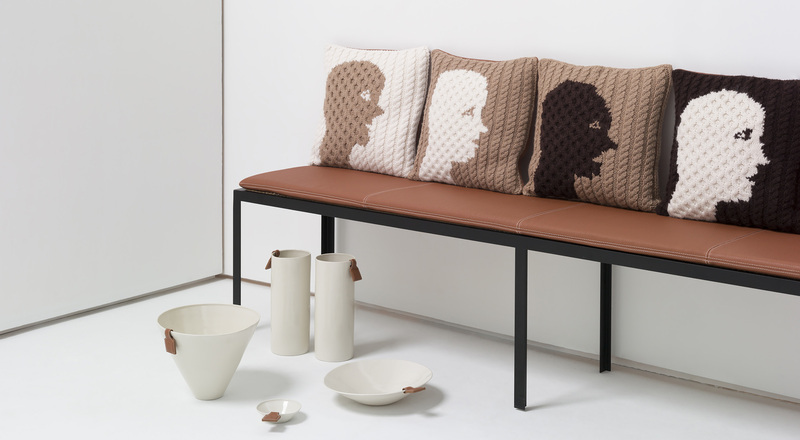 Conceived by Jonathan Anderson in the spirit of a collage, the collection brings together canework, ceramic vessels with leather details and dyed wool motifs. Handmade in Spain and the U.K., the pieces invite fashion and craft into the home. After Milan, the project will travel to Paris, London and Madrid.